Drupal Point of Sale 8 Released! The Drupal Point of Sale provides a point of sale (POS) interface for Drupal Commerce, allowing in-person transactions via cash or card, returns, multiple registers and locations, and EOD reporting. It’s completely integrated with Drupal Commerce and uses the same products, customers, and orders between both systems. You can now bring your Drupal 8 online store and your physical store locations onto the same platform; maintaining a single data point. The Drupal 7 version has been in the wild for a while now, but today marks the official, production ready release for Drupal 8. What features make up the new version of Drupal Point of Sale 8? There are so many that it will probably surprise you! Omnichannel is not just a buzzword, but a word that describes handling your online and offline stores with one platform, connecting your sales, stock and fulfillment centers in one digital location. 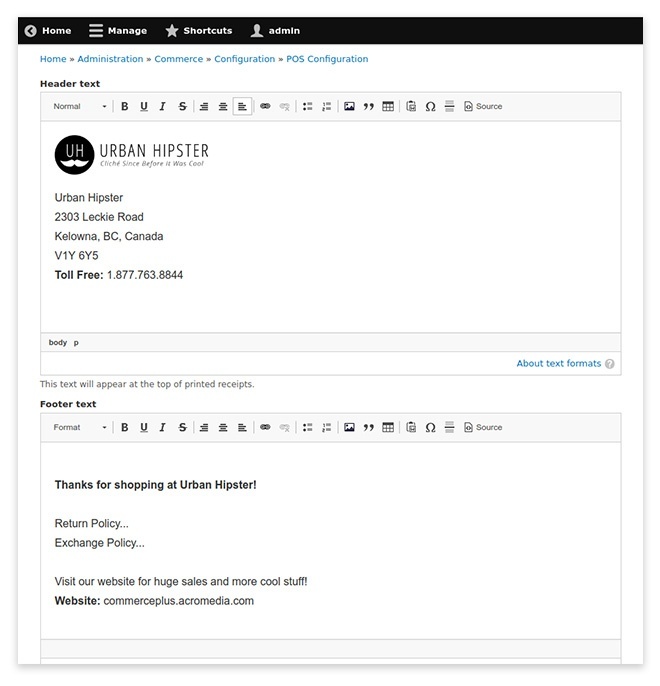 Drupal Commerce has multi-store capabilities out of the box that allow you to create unique stores and share whatever product inventory, stock, promotions, and more between them. Drupal Point of Sale gives you the final tool you need to handle in-person transactions in a physical storefront location, all using your single Drupal Commerce platform. That’s pretty powerful stuff. Watch these videos (here and here) to learn more about how Drupal Commerce is true omnichannel. Set up new registers with ease. Whether you have 1 or 1000 store locations, each store can have as many registers as you want. Because Drupal Point of Sale is a web-based solution, all you need to use a register is a web browser. A touch screen all-in-one computer, a laptop, an iPad; if it has a web browser, it can be your register. The Point of Sale is also fully open source, so there are no licensing fees and costs do not add up as you add more registers. While a cashier is ringing through products, the Customer Display uses WebSocket technology to display the product, price, and current totals on a screen in real-time so the customer can follow along from the other side of the counter. Your customers can instantly verify everything you’re adding to the cart. All you need for the Customer Display is a web browser, so you can use an iPad, a TV or second monitor to display the information in real-time as the transaction progresses. Don’t have a barcode scanner? No problem. With this release, any browser connected camera can be used to scan barcodes. Use a webcam, use your phone, use an iPad, whatever! If it has a camera, it works. This is helpful when you’re at an event or working a tradeshow and you don’t want to bring your hardware along. A traditional barcode scanner works too. Simply use the barcode scanner to scan the physical product’s barcode. The matching UPC code attached to one of your Drupal Commerce product variations will instantly add the product to your cashier’s display. Generate and print labels complete with barcodes, directly from your Drupal Point of Sale interface. Labels are template based and can be easily customized to match any printer or label size so you can prep inventory or re-label goods as needed. Easily customize the header and footer of your receipts using the built in editor. Add your logo and contact information, return/exchange policy, special messaging or promotions, etc. When issuing receipts, you can choose to print the receipt in a traditional fashion or go paperless and email it to your customer. You can do either, both, or none… whatever you want. Whether online or in store, all of your orders are captured in Drupal Commerce and so can be returned, with or without the original receipt. A return can be an entire order or an individual product. When closing a register, you cashiers can declare their totals for the day. You can quickly see if you’re over or short. When finished, an ongoing daily report is collected that you can look back on. 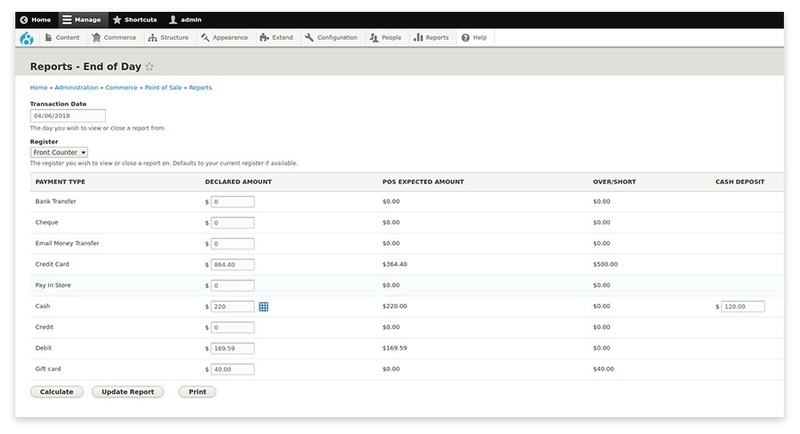 On top of this, Drupal Point of Sale is integrated with the core Drupal Commerce Reporting suite. Use Drupal POS 8 with anything that supports a browser and has an internet connection. Adding to all of the user highlights above are a number of important technical improvements. It’s the underlying architecture that really makes Drupal Point of Sale shine. 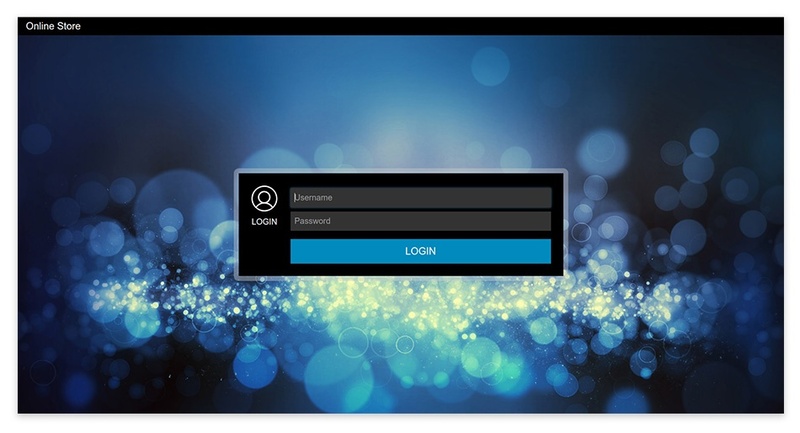 Cashiers login to Drupal Point of Sale via a designed login page. Once logged in, the theme used is the default Drupal admin theme. However, like any other part of Drupal, your admin theme can be modified as much as you like. Keep it default or customize it to your brand; it’s yours to do with as you please. The search API is a powerful search engine that lets you customize exactly what information is searchable. Using the Search API, your cashiers are sure to quickly find any product in your inventory by searching for a product’s title, SKU, UPC code (via barcode scanner), description, etc. Search API is completely customizable, so any additional unique search requirements can be easily added (brand, color, weight, etc.). The search API references the products on your site, and at any other store or multi-warehouse location to allow for you to serve customers in real-time. The Drupal Point of Sale module seamlessly integrates into the existing Drupal Commerce systems and architecture. It shares products, stock, customers, orders, promotions and more. This makes Drupal Point of Sale plug-and-play while also making sure that the code base is maintainable and can take advantage of future Drupal Commerce features and improvements. When Drupal Point of Sale is installed, a “cashier” user role is created that limits the access users of this type have with your Drupal Commerce backend. Use Drupal’s fine grained permissions and roles system to manage your cashiers and give different permissions to employees, managers, marketers, owners, IT, etc. Any way you want it. As mentioned above, all you need to use Drupal POS 8 is anything that supports a browser and has an internet connection. This opens the door for all kinds of custom Point of Sale hardware such as branded terminals, self-serve kiosks, tradeshow-ready hardware, and more. We’ve been having fun prototyping various Raspberry Pi based POS hardware solutions. You can see some of them here and stay tuned for more. Drupal Point of Sale is open source, so why not open up the hardware too? We’re excited to finally release the production ready version of Drupal Point of Sale 8.0. There are many ecommerce-only platforms out there, but almost none of them can ALSO run in your physical store too. This is a BIG DEAL. Drupal Point of Sale gives you the last piece needed to run your entire store using Drupal Commerce allowing for centralized data and a single system for your team to learn and manage. One admin login, one inventory list, one user list, one marketing platform, ONE. True omnichannel, without the fees. Mike at Acro Media recorded a quick video to show Drupal Point of Sale in action. He shows the interface, how it's configured, and some of the features. Starting a Drupal Commerce project from scratch? Use Commerce Kickstart to configure your install package (including Drupal Point of Sale). Already using Commerce for Drupal 8? Install Drupal Point of Sale with Composer. 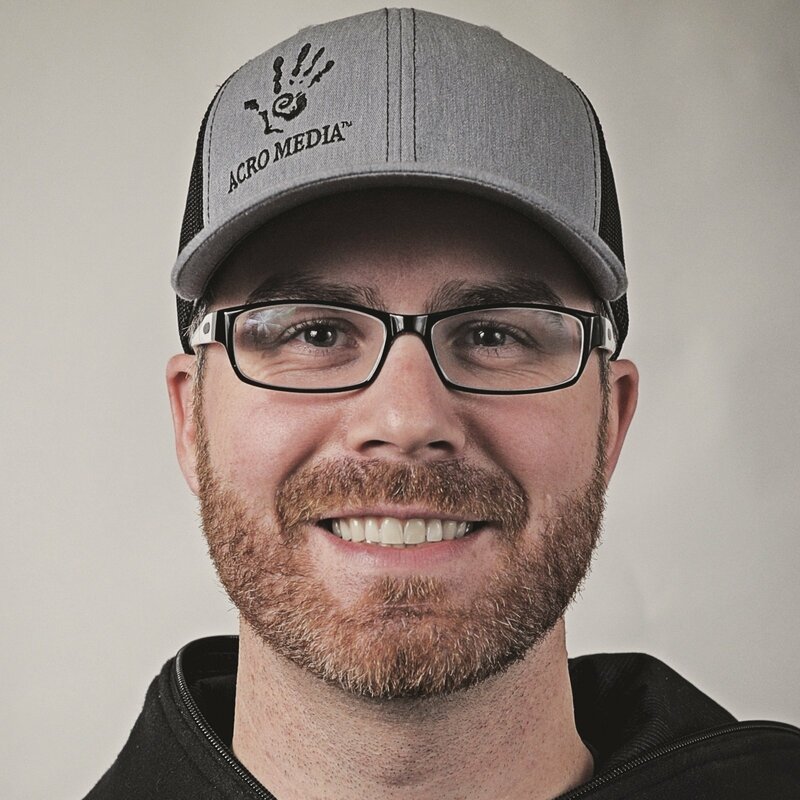 Acro Media is North America’s #1 Drupal Commerce provider. We build enterprise commerce using open source solutions. Unsure if Drupal Commerce and Drupal Point of Sale meet your business requirements? A teammate here at Acro Media would be happy to walk you through a replatforming evaluation exercise and provide you with the Point of Sale workbook to help you make your decision. How to Ensure your Website STAYS Secure!